We have never really been big New Year’s Eve celebrators, in fact, I think I have only made it to midnight once in the past 6 years! LOL! Last year we spent the evening at our neighbor’s house and made it past midnight! 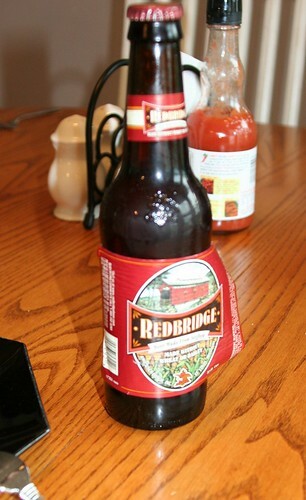 Probably had something to do with the multiple Red Bridge beers that I had that evening. Oh, that and another neighbor suckered me into playing Singstar with her. I say “suckered” because not only do I not sing, I certainly don’t sing in public. Well, I did that night. Boy, I feel sorry for those who had to listen. LOL! There are many gluten-free drinks that those of us who have to follow the GF diet can enjoy. There are several GF Beers out there, including Red Bridge, Bard’s Tale and New Grist. There is hard cider, such as Woodchuck, which comes in all kinds of flavors, all of which are GF. Wine is gluten-free and a personal fave. I like reds the best, such as Pinot Noir and Cabernet Sauvignon. There are also numerous liquors that are GF that can be enjoyed. Absolut (I am not sure about the flavored vodkas, so please verify before drinking those) & Stoli are both GF and wonderful with cranberry juice (Ocean Spray is GF, as is Northland) or 7-Up. Champagne is also gluten-free and a must at midnight on New Year’s Eve. Here is a nice list of gluten-free alcoholic beverages from www.celiac.com. I don’t see a lot of celebrating going on tonight. My sweet daughter is recovering from the stomach flu, as am I, though I had a very mild version of it. I think the only reason I may make it until midnight is because I took 2 naps today! Yes, I said 2! I went back to sleep this AM after Hannah fell asleep on the couch. Then, I fell asleep this afternoon on the couch while watching my all-time favorite Christmas movie, Elf. It appears that USA is running Elf all day, or having an “Elf-a-thon”! If we were feeling up to it, we would be having an appetizer night, as we do most New Year’s Eves. We do shrimp cocktail (naturally GF, as long as your cocktail sauce is GF , McCormick’s is), veggies & dip (T. Marzetti makes a GF dill dip), cocktail wienies (Lit’l Smokies are GF and we cook them with Sweet Baby Ray’s BBQ sauce), nachos (made with Hormel chili w/beans & cheese), queso (Rotel Tomatoes & Velveeta) and the party nectar of the Gods, Buffalo Chicken Dip. For desserts & sweets, we usually gobble up leftovers from Christmas such as fudge (peanut butter & chocolate), gingersnaps & peanut butter blossoms. Well, time to go check on the little girl. I hope you all have a fun & safe New Year’s Eve & day. Tomorrow I will be making my pork & sauerkraut, a tradition for good luck on the new year. I will make sure to share how I make it here in the next day or two. Happy New Year ~ 2009!!! There is nothing I like more than finding a recipe that is naturally gluten-free without having to modify it. Not that it is difficult to modify all recipes to make them gluten-free, but I find it almost comforting to not have to worry about it. Today was the night that I had filet mignon on the menu. 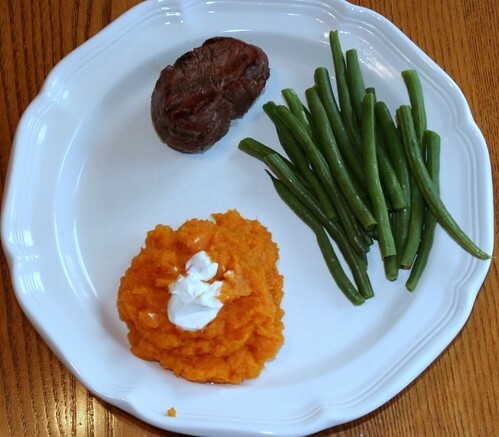 I had planned on sweet potatoes, but couldn’t find them at the store. I did find yams, though. I know that now that they are interchangeable, but I didn’t earlier today. See, it really is true that you learn something new every day. 😉 So I began to search the net for a recipe for baked yams of some sort. I came across this amazing recipe on Food Network.com. 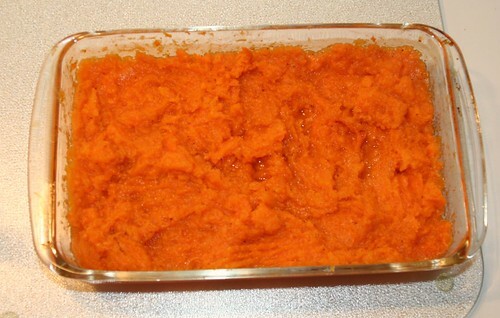 Preheat the oven to 350 degrees F. Wash the yams and place in a baking dish with the water. Bake until the potatoes are soft and the skins puffy, about 1 1/2 hours. Set aside to cool slightly (leave the oven on). Peel the yams and place in a medium baking dish. Add the honey, butter, lime juice, salt and pepper. Stir and mash well with a potato masher. Cover with aluminum foil and return to the oven for 15 to 20 minutes, until heated through. Sprinkle the top with sour cream and serve hot. 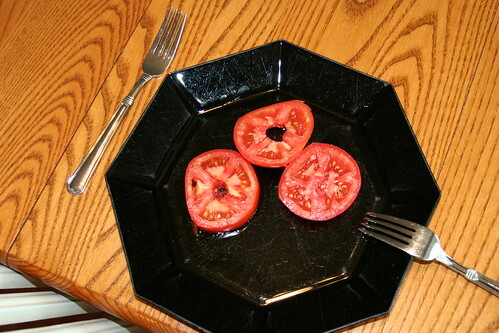 Oh and I can’t forget my plate full of tomato slices. 🙂 I have them coming out my ears, you know, so no meal is complete without them for now.